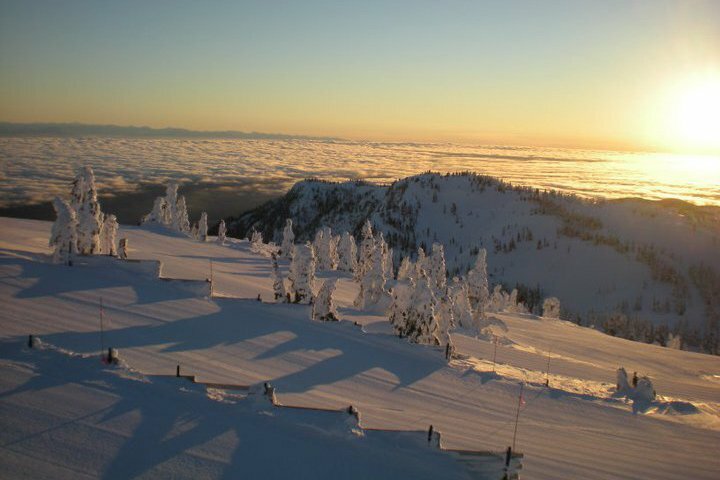 Ever wanted to ski an island in the Pacific? 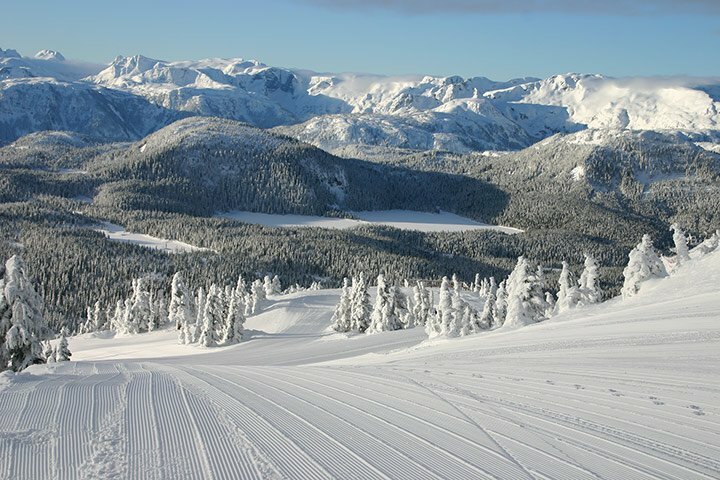 Perched a mile above the Comox Valley on Vancouver Island, Mount Washington Alpine Resort sandwiches itself between the waters of the Salish Sea and the mountains of Strathcona Provincial Park. 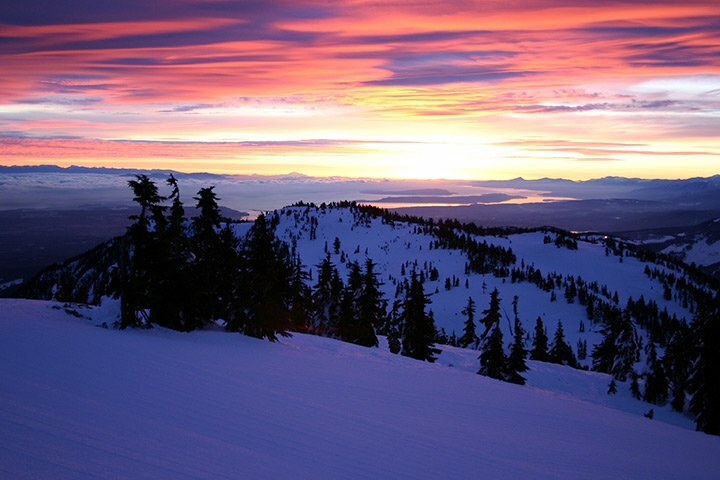 This true alpine to ocean country is one of the few places you can ski or ride in the mountains all day and then watch the sunset from the beach in the evening! Home to 1700+ acres of in bounds terrain from steep glades to cruisy corduroy, Mount Washington has enough variety to keep every skier entertained. 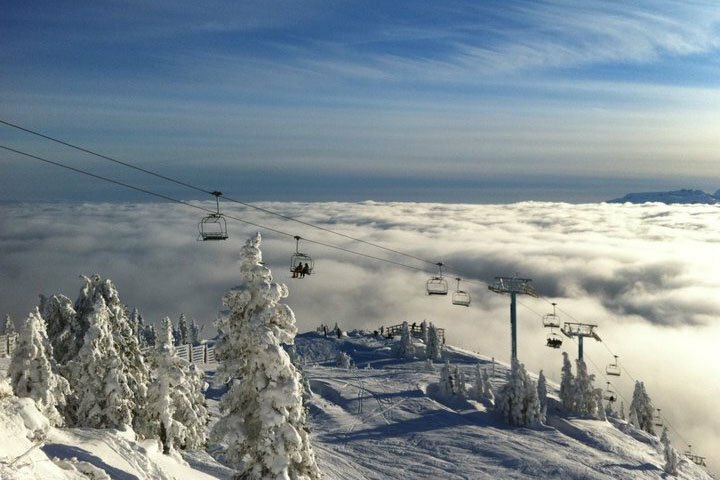 You won’t find any five star luxury hotels or fur coat clad tourists here… Instead there are untracked runs, lineless lifts, friendly locals and huge annual snowfalls… Did we mention Mount Washington often lays claim to the deepest snowpack in Canada! And when the snow finally does stop falling and the skies clear, you'll be rewarded with spectacular coastal views unlike any other. 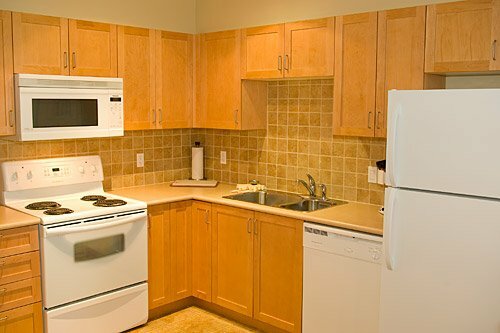 This unique coast mountain experience is one of Canada's best kept secrets! 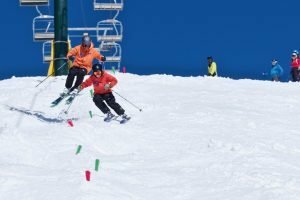 ​Calling all intermediate to expert level skiers! Do you want to go faster… go slower… go left more…. go right more? 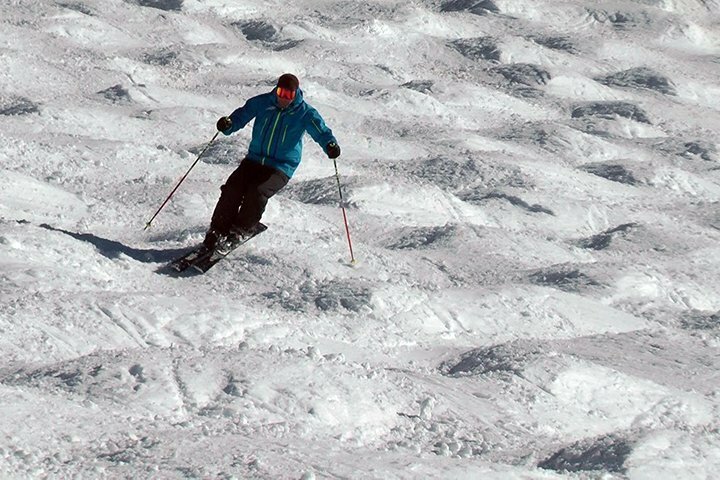 Maybe you want to carve up the groomers with sweeping arcs or make your turns shorter and snappy. 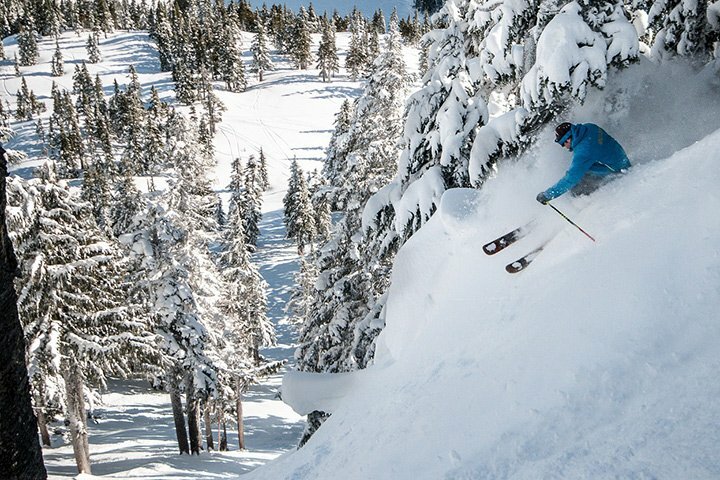 Perhaps you want to shred powder, bumps, trees or steeps? 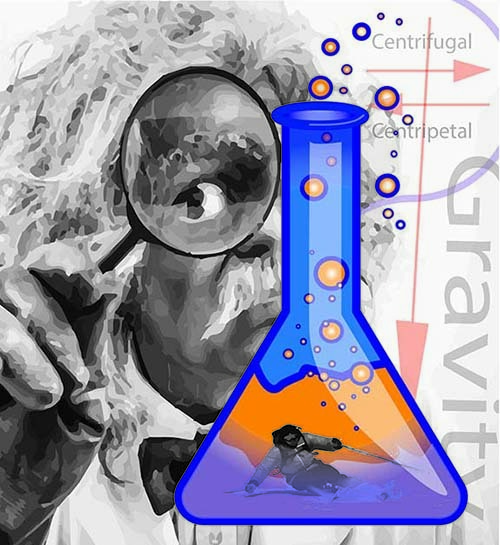 On Section 8’s Science Friction camps you determine the objective… and like mad scientists in a snowy laboratory we’ll help you discover your inner ski geek. Video analysis sessions will help you differentiate your perceptions from reality as our top certified coaches perform a double blind placebo controlled study on your skiing. Whatever the terrain or conditions, through guided experimentation you’ll discover how to best adapt your technique and tactics to the situation at hand. Don’t worry, it won’t be all talk. There will be plenty of time for guided mileage and pushing your boundaries. 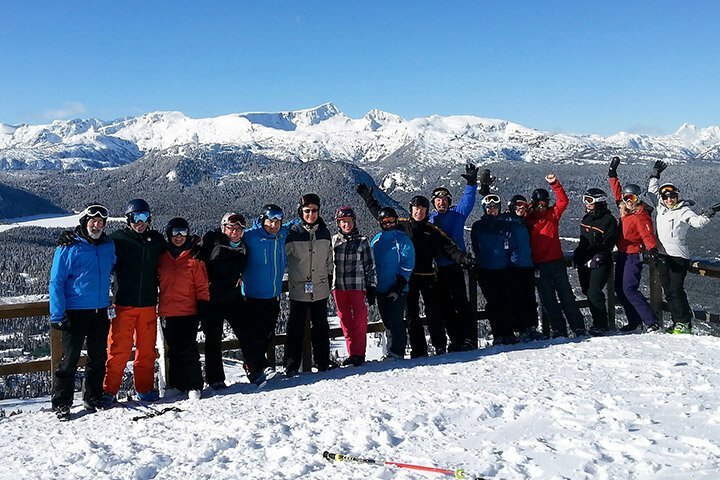 *The Island Ski Safari starts with our last Science Friction Camp of the season at Mount Washington then carries on for two more days at Mount Cain... Northern Vancouver Island's "little ski area that rocks!" 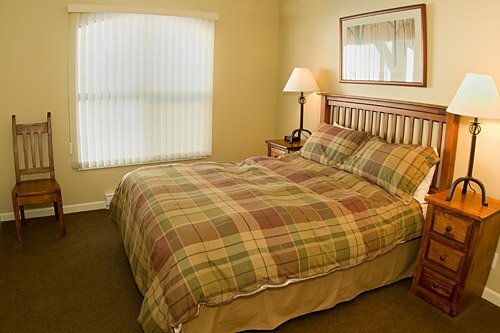 Accommodation for full package at Mount Washington camps is slopeside at Deer or Bear Lodge. 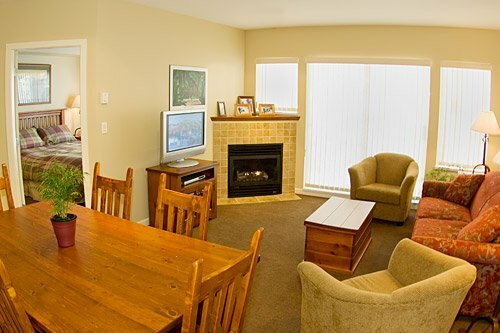 There's so much to do on Vancouver Island, so if you're coming from afar why not combine this trip with a visit to Victoria, Tofino or one of the other major destinations on the coast. The Island offers a huge variety of world class outdoor activities down at sea level all year round such as mountain biking, surfing and golfing. 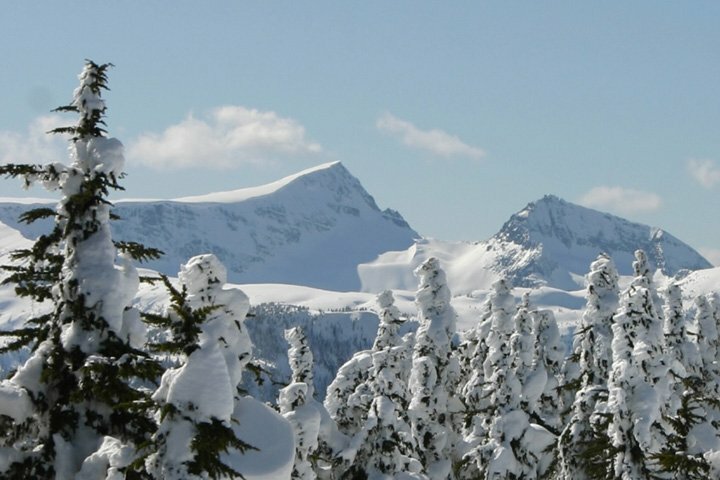 Or if you feel like staying in the snow, why not take a stroll through Strathcona Provincial Park or one of the many snow shoe and Nordic trails. 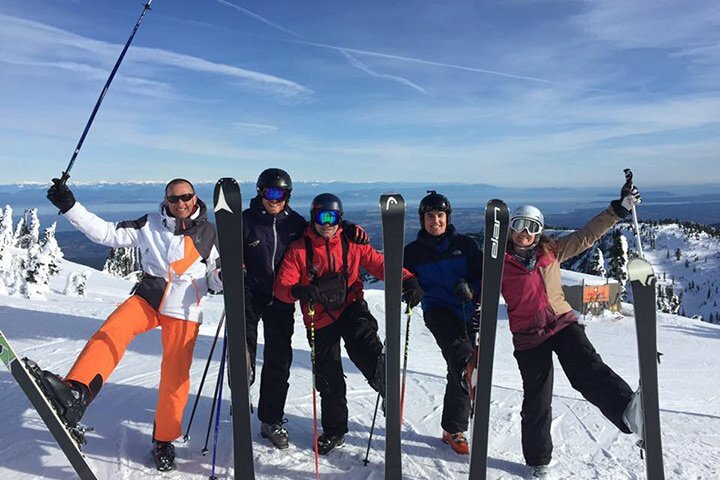 Want to keep skiing? 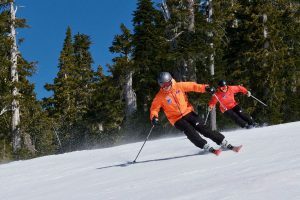 Check out our 'Island Ski Safari' March 10th to 17th, 2019, combining Camps at Mount Washington and Mount Cain. 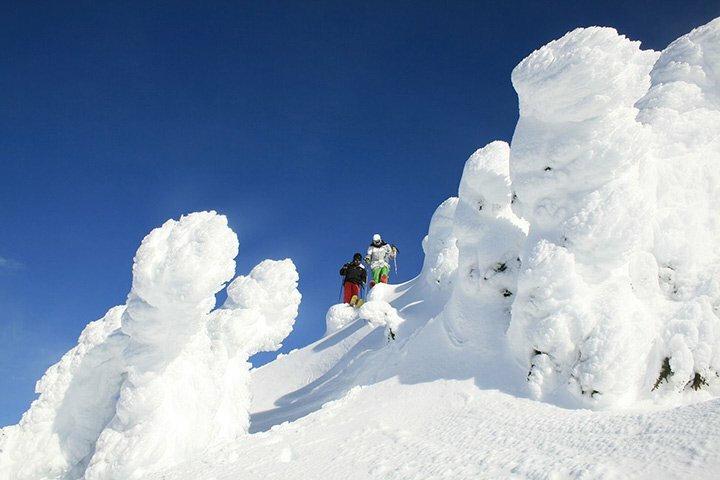 No problem... the Mount Washington snow school has great programs for children. Many major airlines have direct flights from all over the world into Vancouver, British Columbia. From the Vancouver International Airport (YVR) there are several flights a daily to the Comox Valley Airport (YQQ) aboard Air Canada, Pacific Coastal Airlines and Central Mountain Air. WestJet Airlines also has direct flights from Calgary, Edmonton and other major Canadian cities. 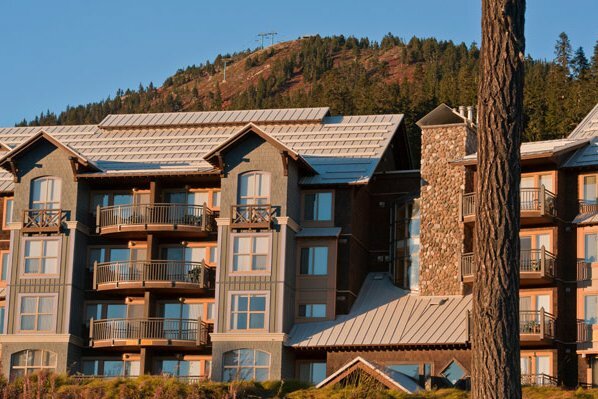 Ambassador Shuttle offers transportation services from Comox Airport direct to Mount Washington Resort. Driving time is about 35 to 40 minutes. Alternatively you can hop on BC Ferries regular service between Vancouver and Nanaimo, which is 90 minutes south of the Comox Valley.